Start With Quality Unflavored PG/VG for mixing DIY EJuices. If you're mixing your own ejuice high quality ingredients and high purity ratings of your PG/VG can make all the difference. PG and VG, short for Propylene Glycol and Vegetable Glycerin, are the base ingredients for eliquid and an essential item whenever mixing ejuice. Pick up one of our 8oz (250ml) bottles of both PG and VG for making DIY e liquid and get started mixing your own vape flavors today! 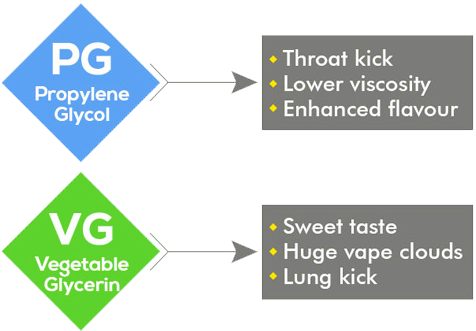 You will most likely need both PG and VG to make your ejuice, but it can be tricky to figure exactly how much of each you'll need. 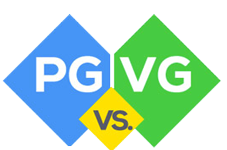 Unsure exactly how PG and VG differ? Pointers: For making a smooth vape with a lot of vapor production, you’ll want the Vegetable Glycerin to make up at least 50% of your DIY ejuice mixture. Adding at least 50% VG will create a thicker and smoother vaping experience while allowing the flavors to really POP with a slightly sweeter taste! Still not sure if what its all about? Order the all in one DIY Ejuice Kit with everything you need for mixing your own vape juice. See our FAQ for more on mixing PG/VG, and use the best PG/VG to start mixing your own Ejuice flavors today!